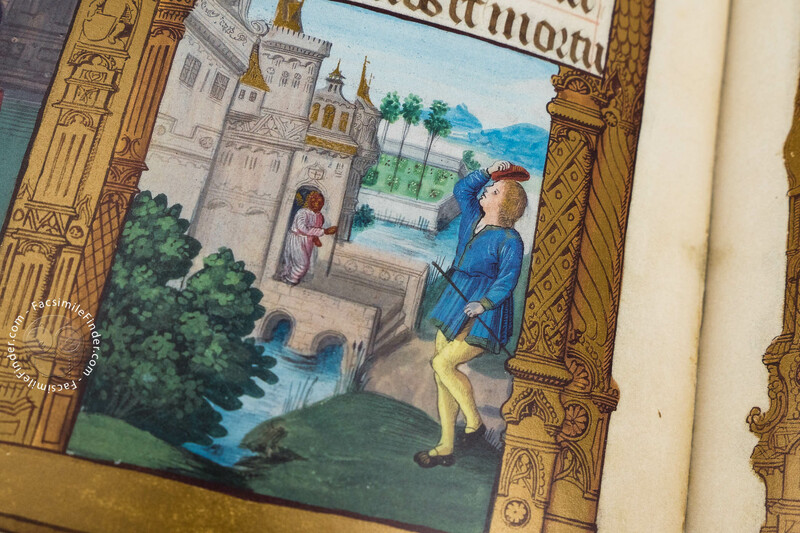 In the select collection of art at the Fitzwilliam Museum in Cambridge, a special treasure is kept under the shelfmark MS 159: the Primer of Claude de France. 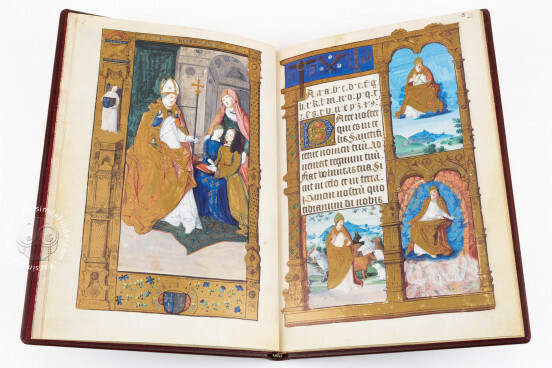 Golden architectural borders frame thirty-six miniatures, twelve vignettes with Christian and floral motifs, putti or mythical creatures; and two full-page illuminations on twenty pages, measuring 26 x 17.5 cm. 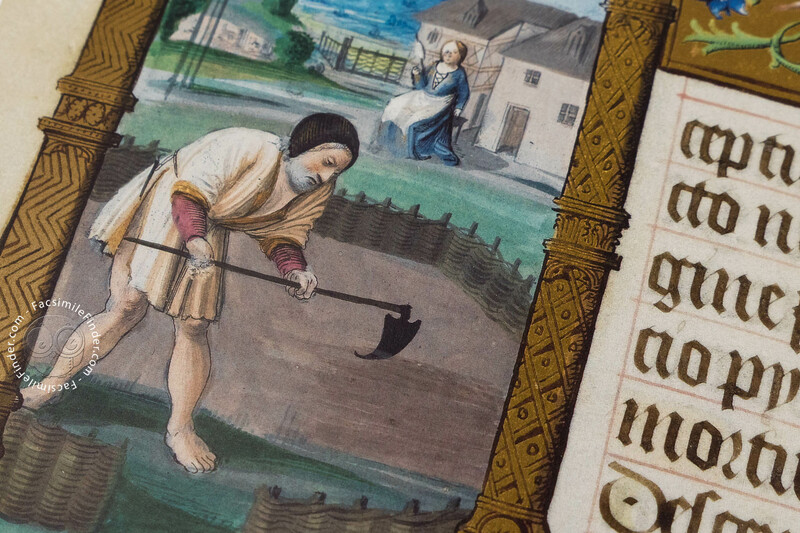 A total of twenty-two one, two, and three-line initials on gold ground, and golden line fillers, both ornamented with floral motifs, structure the texts of the most important Christian prayers. 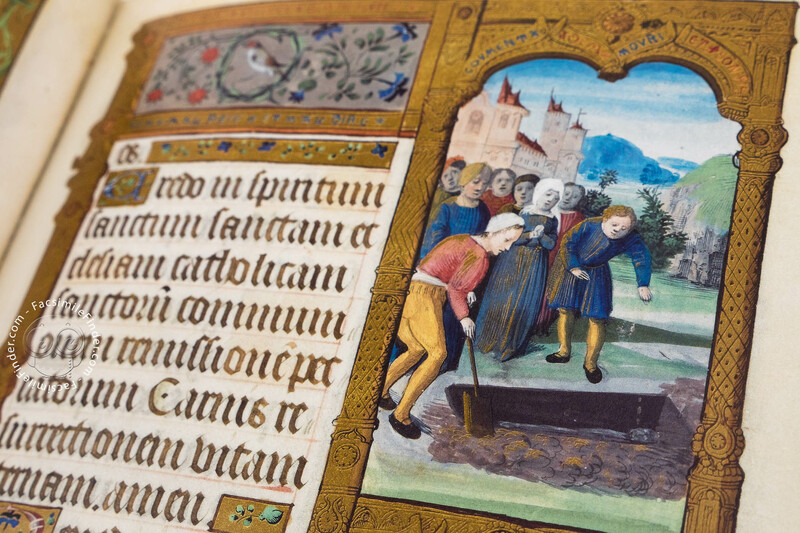 Almost no other manuscript is as rare as a medieval reader for children. 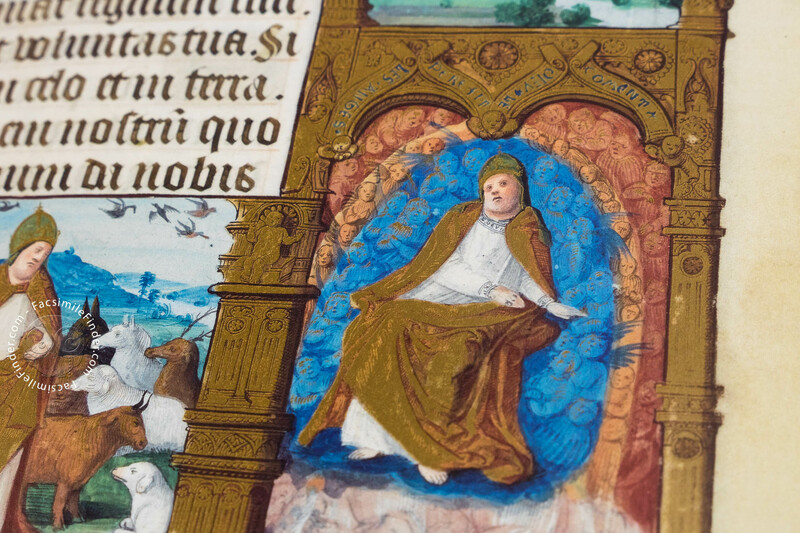 Children of kings, nobles, and the wealthy usually learned to read and pray with Psalters and books of hours. The cycles of images made them familiar with Bible stories, psalms and prayers with texts that they needed for their daily worship. 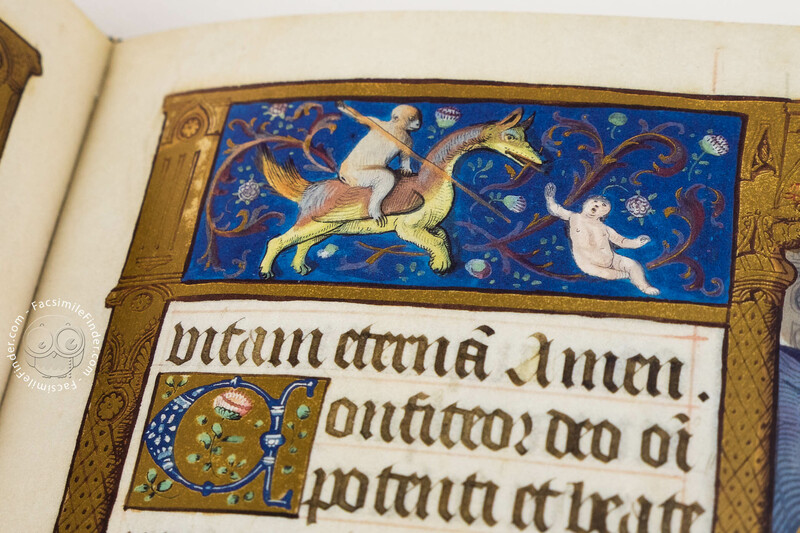 Only a few manuscripts made for children or those known as primers, or ABC books, have survived. 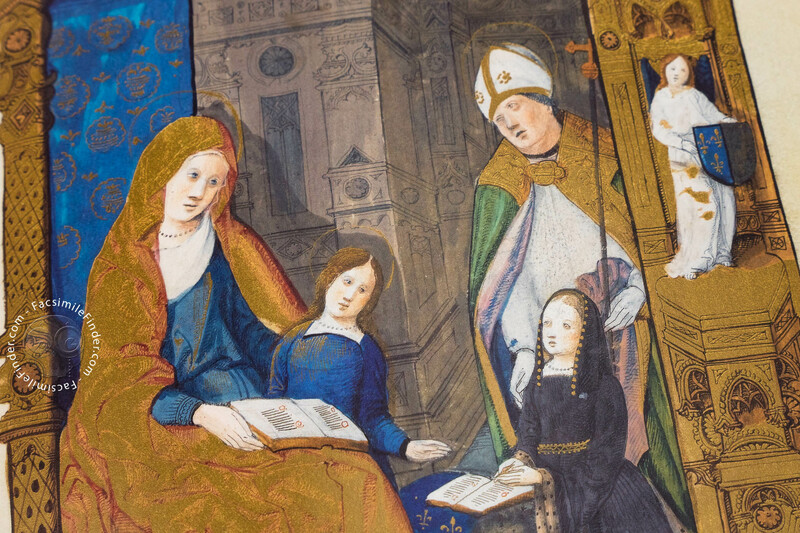 Around 1505 the French queen, the highly educated Anne de Bretagne, commissioned a primer for Claude (1499-1524), who was her only daughter at the time and the future queen of France. The young princess was supposed to learn to read and pray with this book. Anne decided upon the list of images and commissioned the Italian-born court painter and sculptor Guido Mazzoni of Modena to realize the book. In the early sixteenth century, French culture was increasingly influenced by the Italian Renaissance. 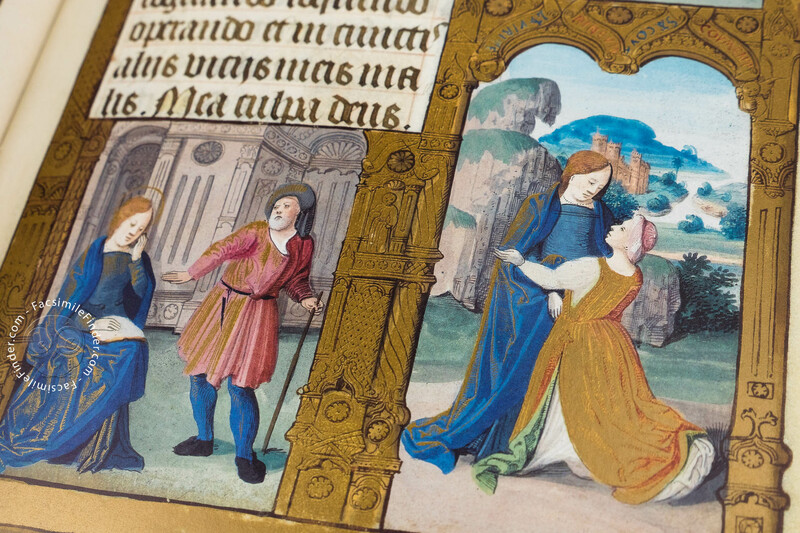 An entire group of Italian artists worked at the French court, which, under Anne de Bretagne and her second husband, Louis XII, mainly resided in the Loire region. One of these artists was Guido Mazzoni of Modena (1445-1518), who was greatly respected for his many talents in sculpting, painting, and illuminating. The splendid architectural borders in an unusually luminous burnished gold are evidence that Mazzoni’s artistic eye had been trained in architecture and sculpture. 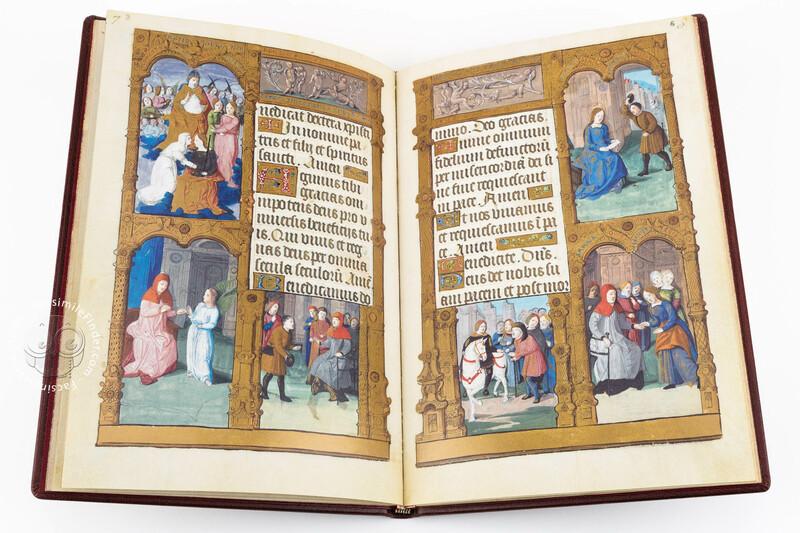 On every page, the sumptuously ornamented pillars, capitals, and bases provide a decorative framework for the events depicted in the miniatures. There are no limits to the imaginative architectural ornamentation that Mazzoni conjures up in the most delicate brush strokes of black ink on top of the gold ground. In addition, he created vignette-like fields of filigreed flower tendrils, birds, and little scenes of frolicking putti. 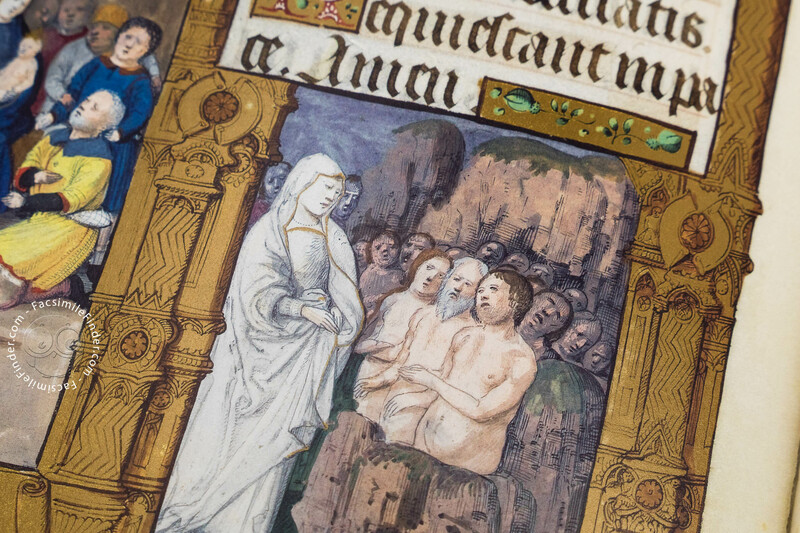 Side by side, the thirty-six miniatures tell a long story that begins with events from the Creation story – from the Fall of Man to the death of Adam – with links to the history of salvation, up to the birth of Jesus. Views of Renaissance palace interiors alternate with views of cities and scenes of nature flooded in light. Often, the colours seem almost transparent; landscapes with blue-green hills are done in lively brushwork that follows the rhythm of the artist’s steady hand, giving the impression of the carefree weightlessness of watercolours. The transparency of the landscapes in the background allows the figures to stand out all the more magnificently. 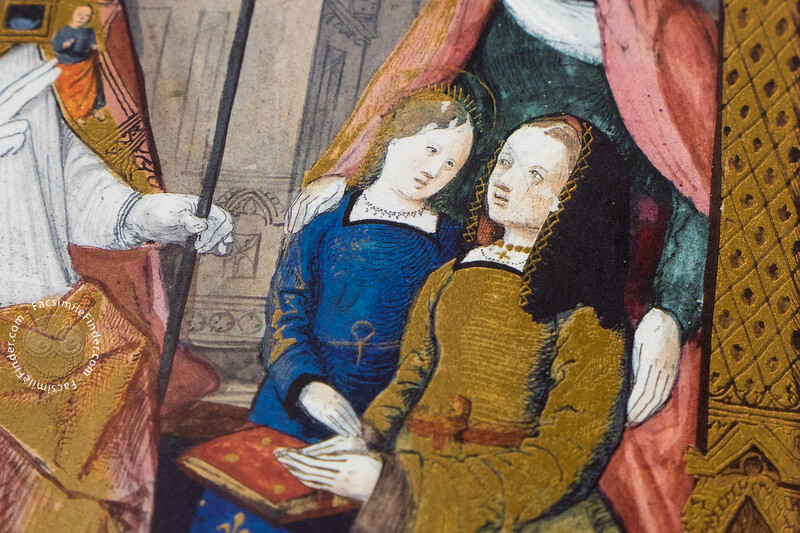 There are two full-page images at the beginning and end of the primer; one is of the mother, Anne de Bretagne, and the other is of her daughter, Claude. 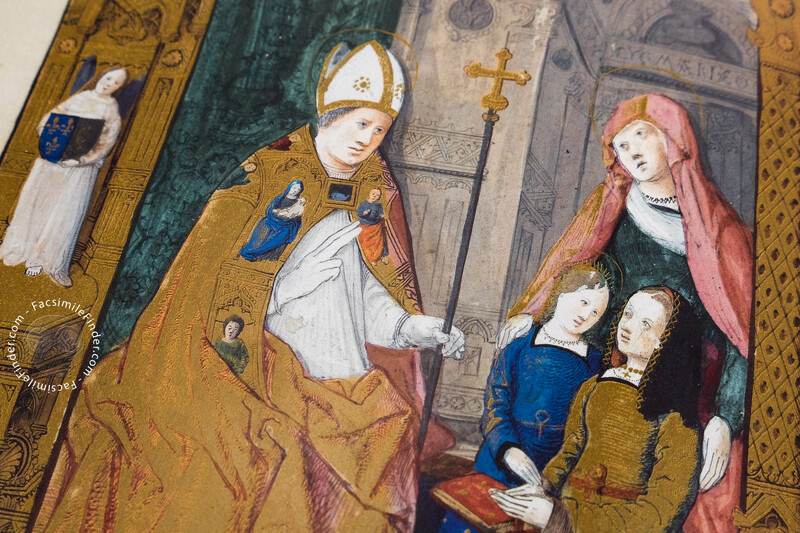 Each is depicted with her patron saint: Anna and Claudius. Due to the primer’s format and its large, clear textualis script, it is likely that the six-year-old Claude held it in her hands and used it herself. It begins with an alphabet, with variations of some of the same letters. Following the alphabet is a basic selection of prayers in Latin, which every child in the Middle Ages had to learn by heart: the Lord’s Prayer, the Ave Maria, and the Apostles Creed, pre- and post-meal grace, the Confiteor, and the most important prayers for masses. 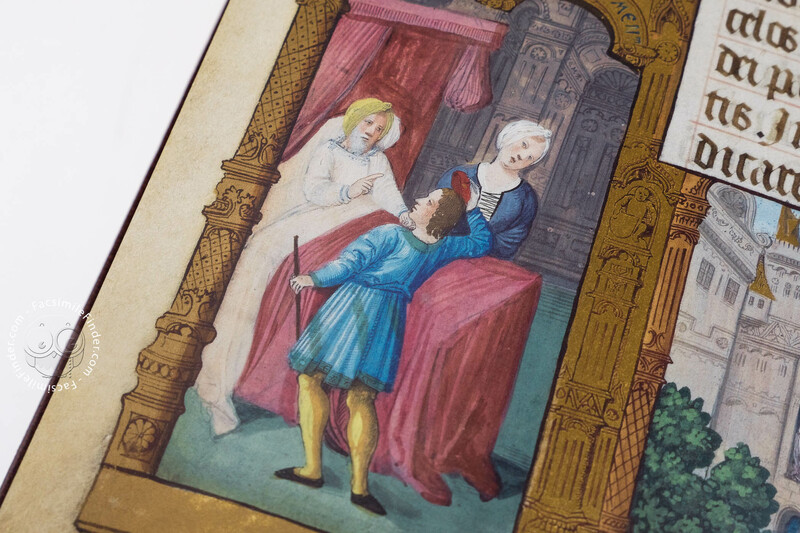 Claude kept her primer in a place of honour, and at least one of her own children probably also learned to read with this enchanting manuscript. Afterward, though, any trace of Claude de France’s primer disappears in the dark of history. 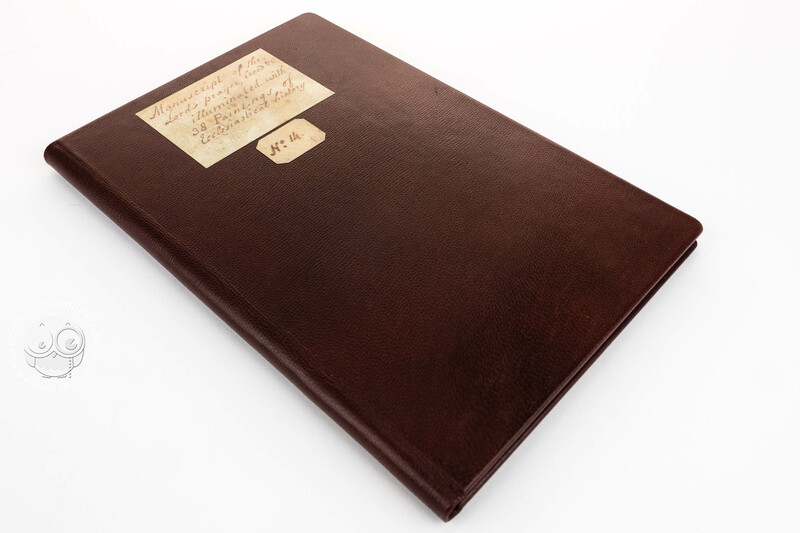 It does not surface until the eighteenth century, when it is noted as part of a private collection in England, where it acquired its present-day binding of reddish-brown leather with a title plate glued on. In 1808 Richard, seventh Viscount Fitzwilliam of Merrion (1745-1816), purchased the manuscript. The Irish philanthropist and musical antiquarian left his extensive collection of art and books to Cambridge University, where a museum solely for the purpose of housing it was built. Manuscript book on parchment − 26 × 17.5 cm − 20 pp. 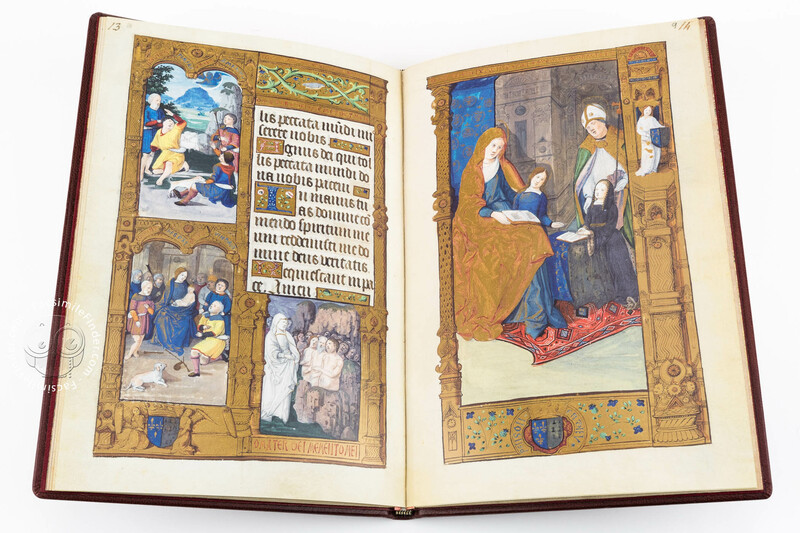 Full-size color reproduction of the entire original document, Primer of Claude de France: the facsimile attempts to replicate the look-and-feel and physical features of the original document; pages are trimmed according to the original format; the binding might not be consistent with the current document binding. 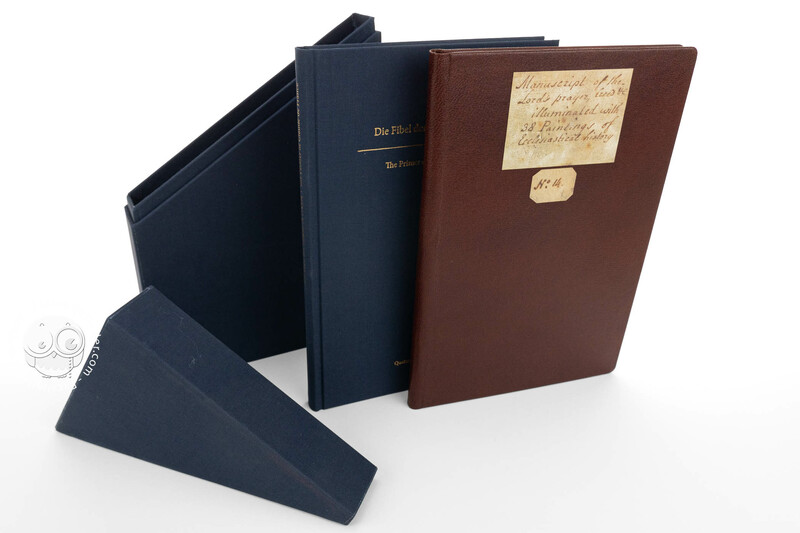 Facsimile and commentary volume delivered in a case made of blue linen with an embossed title in gold, which protects the edition from dust and at the same time allows for a decorative display. 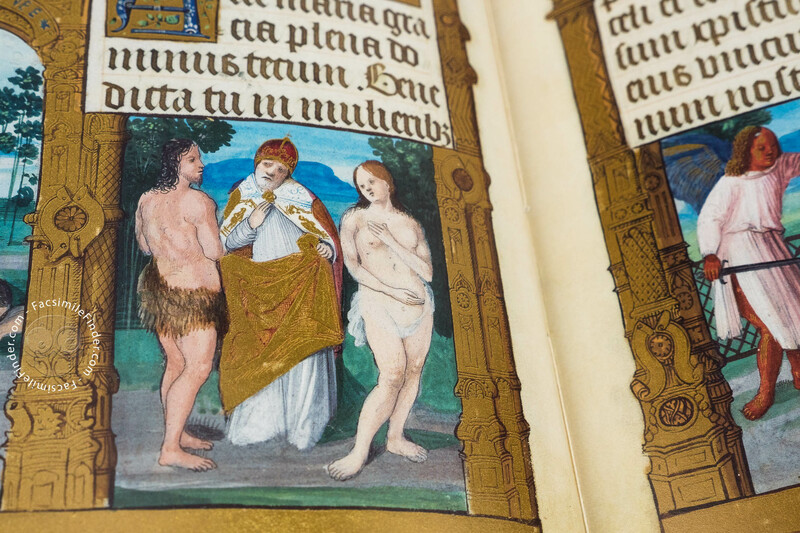 The commentary has been entrusted to three internationally renowned experts in illuminated books and the 16th century. Reddish-brown leather, as in the original.